Oh no. Winter. It’s coming. If the thought of any daily temperature falling below twenty-two degrees makes you hiss and hide under the blankets; if you simply cannot face cold and dark mornings and are a grump all day as a result; if you simply can’t wear enough layers to keep warm; Sunbeam has a range of heated throw rugs and blankets just for you. After all, Australia may be known as the sunburnt country, but in winter it can snow in some regions.Snow! 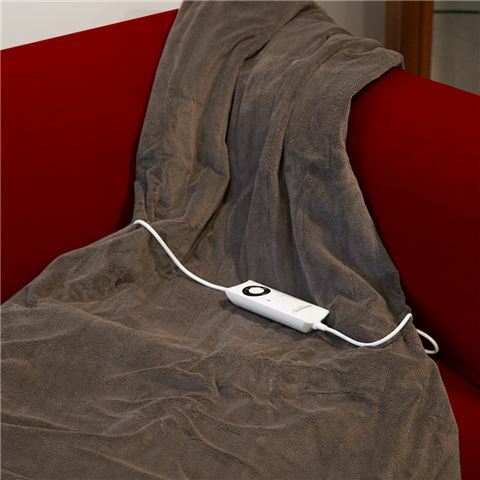 Thankfully, all you need to do is plug in this heated throw, and in ten minutes, the cold will be banished, replaced by super soft microfleece and a fantastic warmth provided by Italian-designed heating elements. With six settings to choose from, you’ll be comfortable not just in winter, but chilly autumn evenings and spring mornings, too. Winter may be coming, but with this throw rug, you’ll stay a sweet summer child. Heating elements and controls designed in Italy. Extra thick 220gsm microfleece for cosy comfort. Choice of six heat settings. Heats up in only ten minutes. Uses just 150 watts power, keeping you warm and saving you money. Auto safety off switches off your blanket after three hours for peace of mind. For use in the lounge or bedroom. Machine washable - detachable control and waterproof elements.